The Speedbike X-run Speedbike indoor cycle from DKN. DKN is a brand exclusive to Sweatband.com and the partnership formed shows our commitment in sourcing the best quality products from the leading brands and manufacturers in the World. 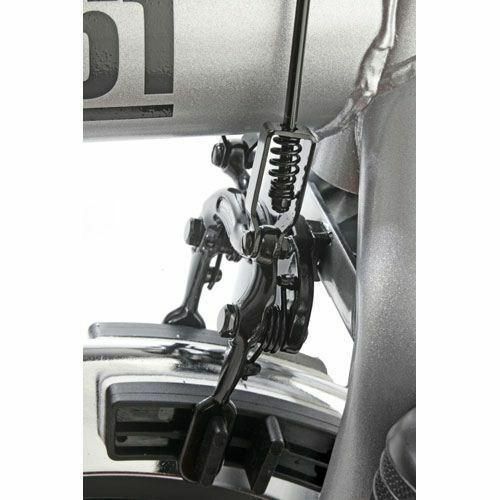 The Speedbike X-run comes with a high-polished super heavy 23 kg heavy-duty V shaped flywheel and is equipped with tripled layer bearings, direct-drive chain, and double brakes. 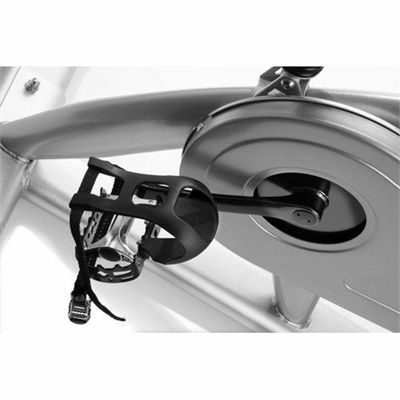 The effect of this is to provide a super smooth and true wheel action that does not deviate or cause undue friction. The bike can be personalised using the fully adjustable handlebars and seat which make sure that every user, height, build and weight can get the most ergonomic positioning for comfort. This will enable you to work out for longer with reduced chance of causing an injury and make sure that you get the results you want. Super bike for a super price! First piece of DKN equipment I have ever owned and I'm really impressed with the build quality. The unit feels robust, very smooth motion whilst in use and a the resistance levels are great. Was delivered within a few days too. Really happy. 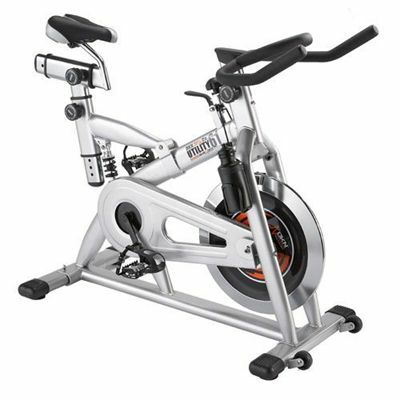 I have always loved doing the spin classes at my local gym so I decided to get one of these to use at home. The actual bike is fantastic and feels really good to use. Simple too. There's no computer to learn how to use or anything. Just set the resistance level and start pedalling. Much safer than the real thing at this time of year too. It's definitely built to last which makes it very heavy to move around, but also makes it feel great when you're on it. Yeah, good bike for the money. Was delivered really quickly and quite easy to put together. I really like the design, it looks great! All in black with a nice finish. Only gripe for me would be the saddle isn't the comfiest but for the money you really can't complain. I recently bought this bike because I didn't want to cycle outside in the dark and rain over winter. It's a great replacement for a road bike as it feels not too far from the real thing. The flywheel is really heavy and provides a smooth feel all the way throughout the whole cycle. 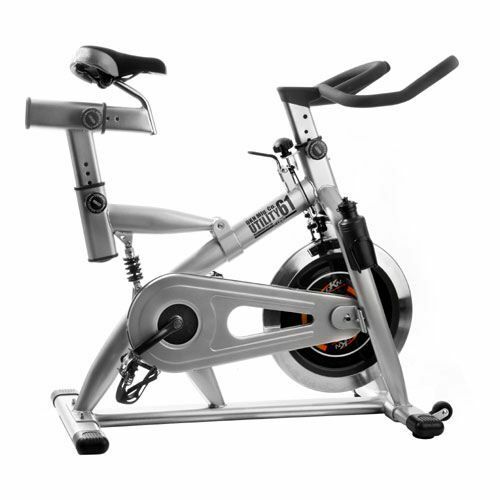 It's also great for resistance as I can do my HIIT training using this bike. 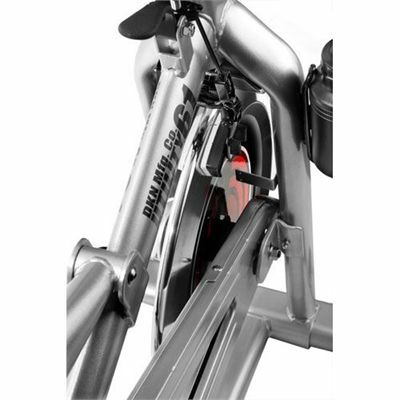 I feel it is of similar quality to the spin bikes you find in a lot of spin classes and over a year it costs less! for submitting product review about DKN X-run Speedbike Indoor Cycle.